Alright, we've come to the end, my friends. 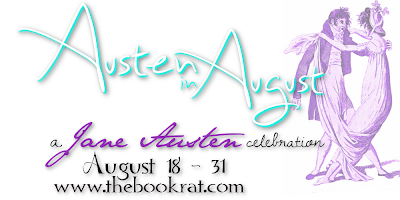 We are all done with our Emma, and since I know this is one of Austen's more contentious works, I'm looking forward to what everyone has to say! If you missed any of the previous discussion questions, you can find them here [vol one | vol two]. But now, onto . . . Overall Impressions: Alright, now that we've come to the end of the book, what are your overall impressions? Did you like it? Hate it? Emma + Knightley 4ever? What are your thoughts on Emma and Knightley as a pairing? Are they a good match? Do you think they'll find lasting happiness and help each other to grow, or are they doomed? What did you think of the proposal, which some find too brief, and some find just right? Vol III / Book Happenings: Discuss your favorite (or least favorite) events from volume III, and/or from the book overall. What were the standouts? Was there anything you didn't see coming, or that you wish had happened differently? Consider Box Hill, the strawberry-picking party, the run-in with "gypsies," revelations about Jane & Frank, Harriet & Knightley, etc. Vol III / Book Characters: Did your perceptions of any of the characters change as you were reading, or in hindsight? Did you feel any characters underwent a role reversal, or would have benefited from one? Discuss your favorite and least favorite characters or aspects of characters. Final thoughts? Any final thoughts on Emma? Questions or things you didn't understand in volume III, or the book overall? Would you reread it, or recommend it? Main thought is how much better this original is than the contemporary read for #AiA I did - Alexander McCall Smith's revamp was just too disappointing and a struggle to get through to the end. Always glad to return to JA's ! It's funny you should say that, because I was actually looking at the AMS Emma today, and wondering if I should prioritize picking up a copy. I'm guessing that's a no... lol!